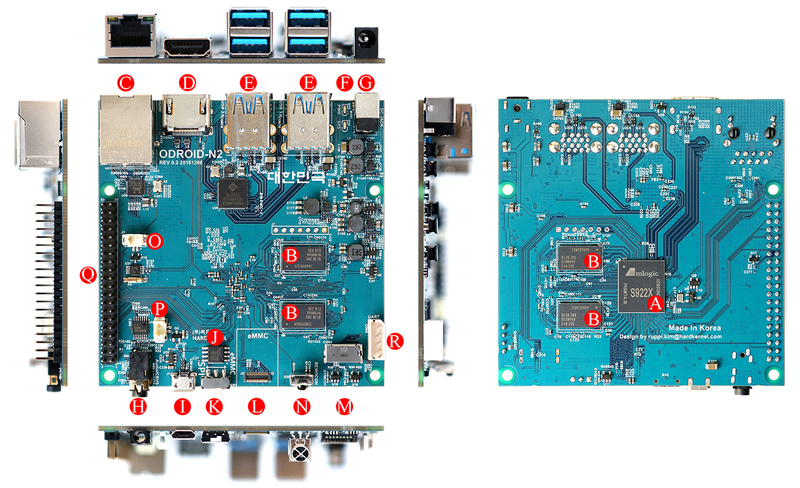 Hardkernel has announced its latest single-board computer, the ODROID-N2. 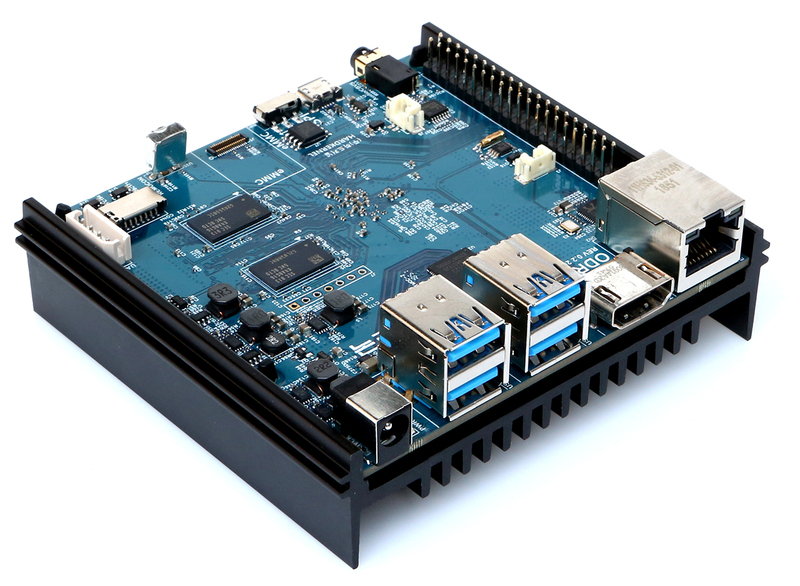 The device is equipped with a hexa-core SoC and up to 4 GB DDR4 RAM, which should deliver considerably more performance than the Raspberry Pi while remaining affordable. There is 384 KHz/32-bit stereo DAC onboard too. Hardkernel has announced the successor to the ODROID-N1, which the company has aptly named the ODROID-N2. 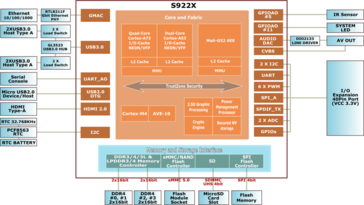 The new model measures 90 x 90 mm and is equipped with a 12 nm SoC that integrates four ARM Cortex-A73 cores and two Cortex-A53 cores on a big.Little architecture. The former can clock up to 1.8 GHz across all four cores. The SoC also has an ARM Mali-G52 GPU onboard for handling graphics processes. Hardkernel stresses that the large metal heatsink will help minimise thermal throttling too. Moreover, the company claims that the single-board computer is up to seven times faster than the Raspberry Pi 3 in some benchmarks. The ODROID-N2 also integrates 2 or 4 GB of DDR4 RAM that Hardkernel asserts is 35% faster than the RAM in its predecessor. The single-board supports microSD cards and eMMC modules, while there is a HDMI 2.0 port for outputting at 4K too, which is impressive given the ODROID N2's small footprint. 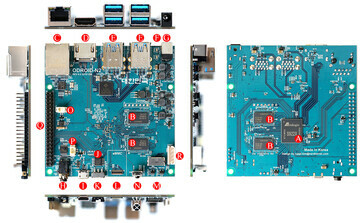 Hardkernel has included 4 USB 3.0 Type-A ports along with a USB 2.0 micro USB with OTG support. There is also an RJ45 Ethernet port and an IR receiver, should you wish to integrate a remote control. Please keep in mind that there is no onboard Wi-Fi. 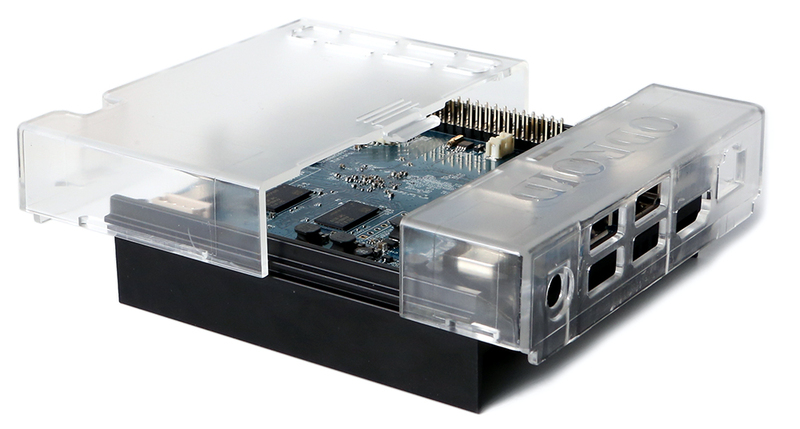 Additionally, the ODROID-N2 has various connectors for developers including a 40 pin GPIO, a UART and an I2C among others. Furthermore, the ODROID-N2 has a 384 KHz/32-bit DAC that can output at up to 100 dB(A) while keeping total harmonic distortion below 0.006%, according to Hardkernel. The single-board computer will go on sale at the end of March and will cost US$63 for the 2 GB model, with the 4 GB costing US$79. 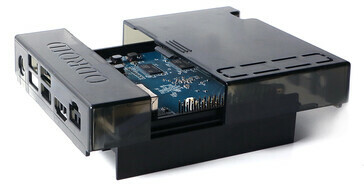 Hardkernel will sell two cases for the ODROID-N2 that will cost US$4 too.